New research published today shows that almost 40% of rural citizens in Greece are at risk of poverty and, at the same time, food insecurity has doubled throughout the country. Democracy Not For Sale: The Struggle for Food Sovereignty in the Age of Austerity in Greece, by the Transnational Institute, FIAN International and Agroecopolis, offers an unique analysis of the impacts that the austerity measures have had on agriculture and food security in the country. - food insecurity doubled during the crisis from 7% in 2008 to more than 14% in 2016. -privatisations, including the privatisations of the Agricultural Bank of Greece (ATE) and the major dairy cooperative AGNO. The results have meant increased costs for farmers, less access to rural credit, specialised financial services, and agronomic advice. 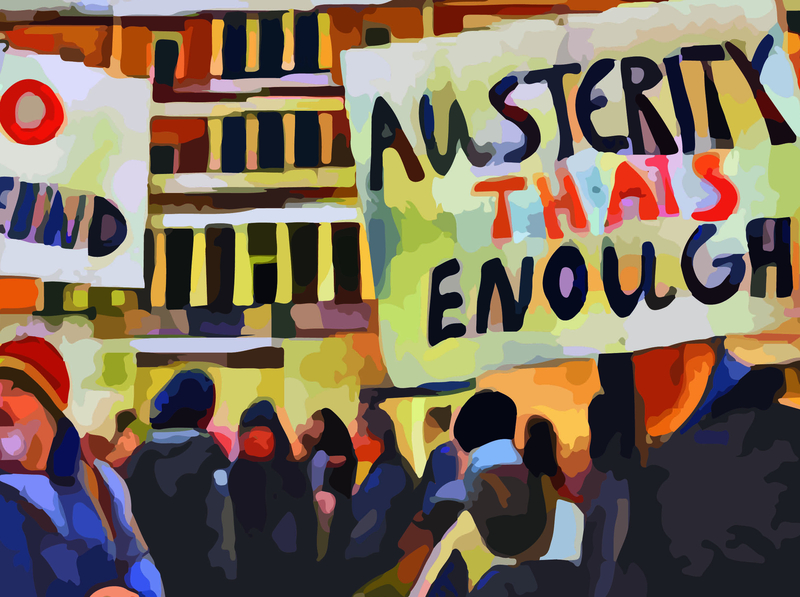 This report is presented ten years after the start of the financial and economic crisis, and only months after the austerity programmes – imposed on Greece, as a condition for the successive "bailouts" – have been phased out. Commenting on the publication, Olivier De Schutter, former UN Special Rapporteur on the Right to Food (2008-2014) and Member of the UN Committee on Economic, Social and Cultural Rights noted that “Greece, we are told, is now out of danger, but the impacts have been enormous on the living standards of Greek families, and on the right to food in particular. And it is essential that we draw the lessons from what has happened. These findings are a significant contribution to a debate that must now take place”. You can find the report and the executive summary here. You can access the PR in German here.